Embodied Resistance engages the rich and complex range of society's contemporary "body outlaws"--people from many social locations who violate norms about the private, the repellent, or the forbidden. This collection ventures beyond the conventional focus on the "disciplined body" and instead, examines conformity from the perspective of resisters. By balancing accessibly written original ethnographic research with personal narratives, Embodied Resistance provides a window into the everyday lives of those who defy or violate socially constructed body rules and conventions. Chris Bobel is Associate Professor in the Department of Women's Studies at the University of Massachusetts at Boston. She is the author of The Paradox of Natural Mothering and New Blood: Third-Wave Feminism and the Politics of Menstruation. Samantha Kwan is Assistant Professor of Sociology at the University of Houston. She has published in Qualitative Health Research, Sociological Inquiry, and Teaching Sociology. "The book is a good start to a more nuanced understanding of the interconnections between complicity and transgression." "This anthology captures the urgency of the body's involvement with power relations. It reminds us of the significant and sometimes high stakes of negotiating embodiment and identity, embodiment and sexuality, race, gender. Bobel and Kwan situate the wide range of articles in the most current literatures in critical scholarship, and remind us why the body has become such an important place of scholarship, why it carries so much meaning and instigates so much struggle." "Finally, here is a book about the body that is as juicy, colorful, and unpredictable as the body itself. 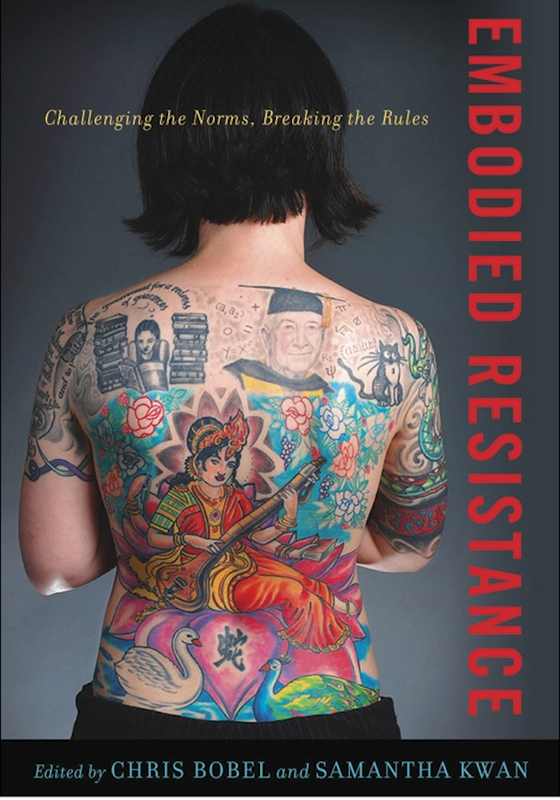 Embodied Resistance is not only about resistance but as a collection vibrates with its own resistance, both to academic abstractions about 'the body' and to uncritical storytelling. A wonderful blend of ethnographic research and personal reflections, it toes no one theoretical line and embraces a fascinating range of practices, issues, and experiences. This is a book students will identify with, argue with, shed tears over, laugh along with, and rarest of all for a scholarly reader, enjoy curling up with."